We should wear a cape! We’re a solution orientated kind of company… and we love it! 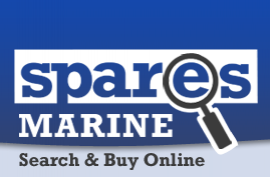 Spares Marine is a retail eCommerce business specialising in replacement parts for your boat. We like to think we're not quite like all the rest. We're not box shifters - we really know our stuff! View our extensive list of spare parts for all ranges and models represented on our site. We get a kick out of supplying what you need, especially the hard to find bits. Our aim? To operate with Expertise, Authority and Trust - as swiftly as possible. We’ve gone the extra mile – painstakingly editing exploded diagrams, and photographing every stock item, enabling you to pinpoint the exact item you are looking for, without the head scratching! We know the Leisure Marine Industry well. Based in Torquay, on the beautiful English Riviera, our team enjoy a close working relationship with the manufacturers and brands we represent, allowing us to draw upon their vast knowledge relating to all things spare parts. We place great importance on customer satisfaction. We're only happy if you are! We believe Spares Marine offers the best service in locating and supplying the part you need when you need it – all at competitive prices and accompanied by excellent communication throughout. Why not try us and see for yourself? There’s not much Steve doesn’t know. Between you and us, we think he probably studies exploded diagrams as bedtime reading. 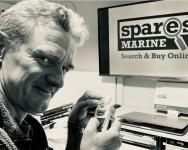 Personable and helpful, with a penchant for wine gums, Steve oversees Spares Marine Sales and Business Development, as well as our busy Servicing Dept. 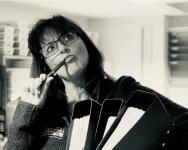 There’s a system or a spreadsheet for everything, and Nikki runs a tight ship! She’s a Marketing and Graphic Design creative sort, with a passion for communication and problem solving. She laughs in the face of a challenge … but it does help if she has a G&T in her hand! From behind the screen of his Apple Mac, Max has occasionally been known to come up for air. 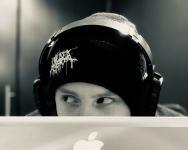 Cross referencing, product coding, website maintenance and social media are his bag. 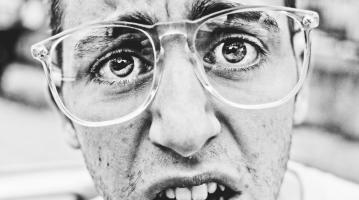 Every successful business needs a Max – he’s all over Digital Support like a rash.